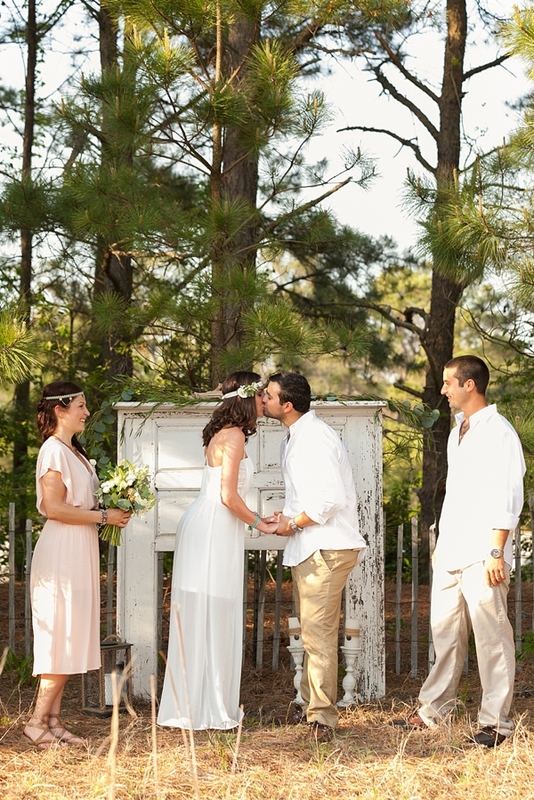 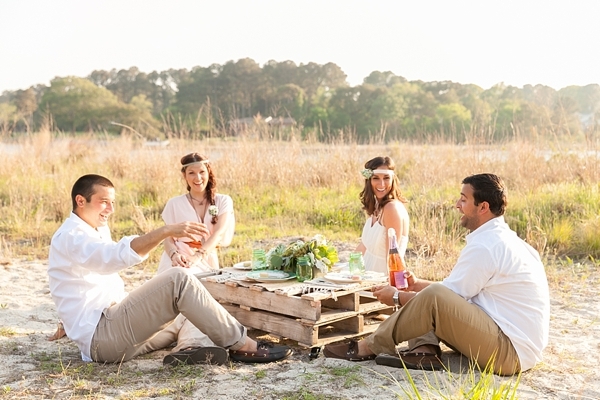 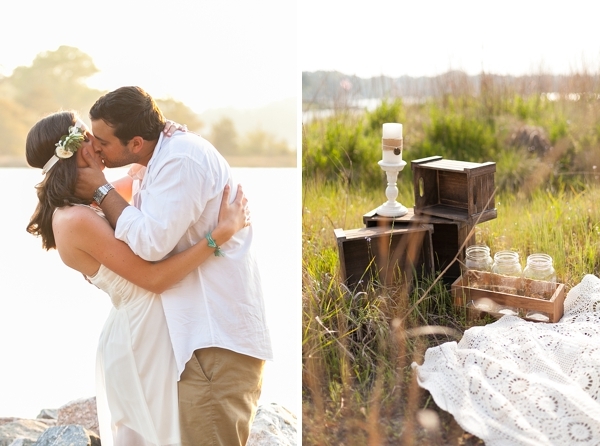 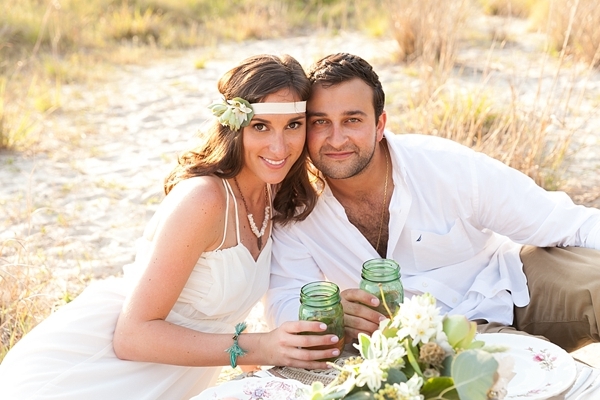 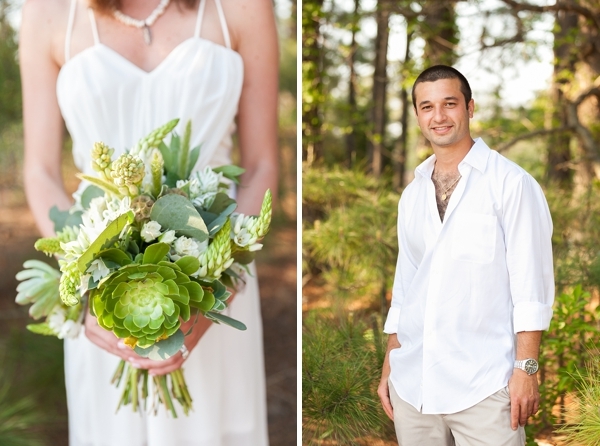 With the ever-popular boho trend circulating through the wedding industry, this Virginia Beach stylized wedding shoot is sure to inspire those local brides and grooms who prefer a more casual celebration. 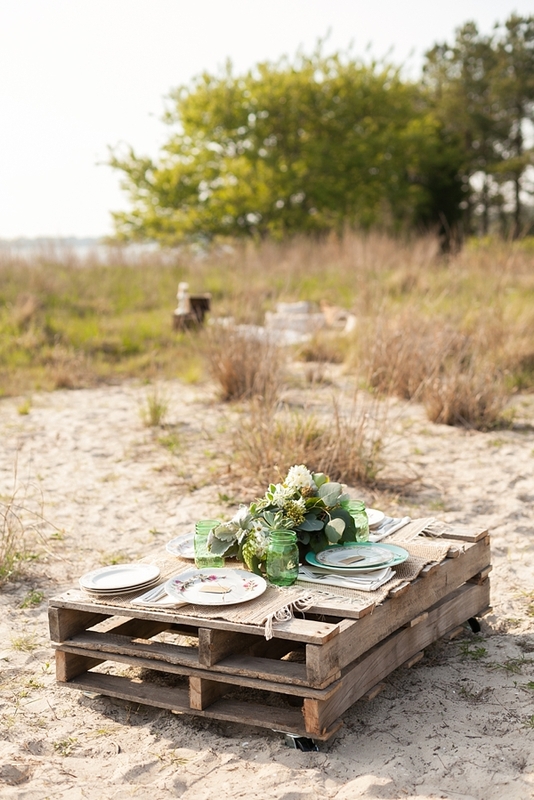 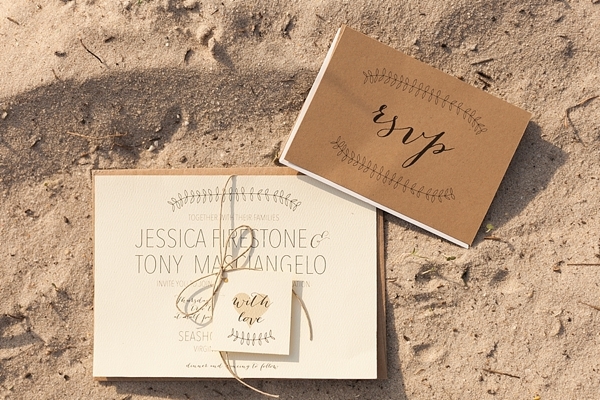 As a true team effort, this creative vendor team created and conceptualized a lovely take on a different type of beach wedding. 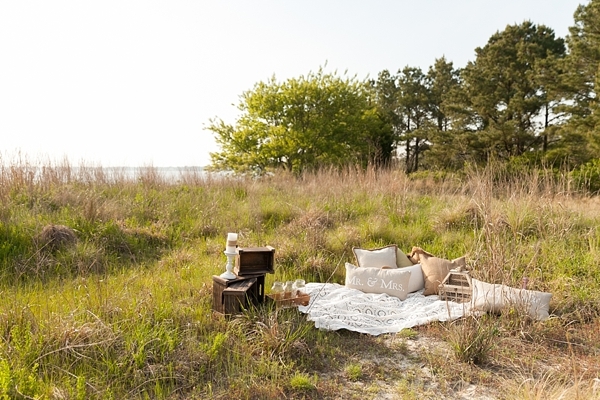 No two beaches are the same, and here in Hampton Roads, we're blessed with lots of greenery in the sands, especially at First Landing State Park-- a perfect complement to the boho vibe! 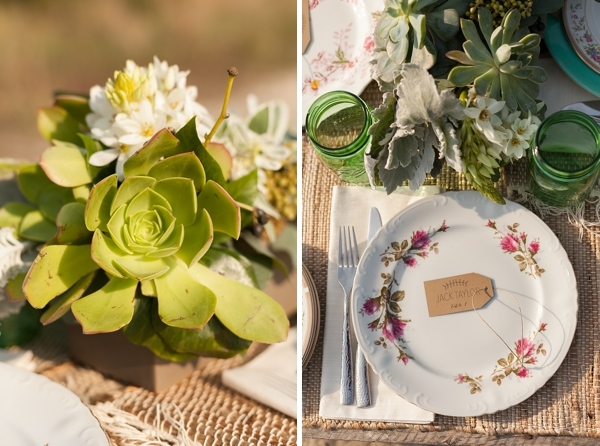 Captured by Jessica of Jessica Ryan Photography, Jamie Leigh Events and Bluebird's Garage used a wooden pallet for a picnic-like reception table decorated with hearty succulents designed by Roost Flowers. 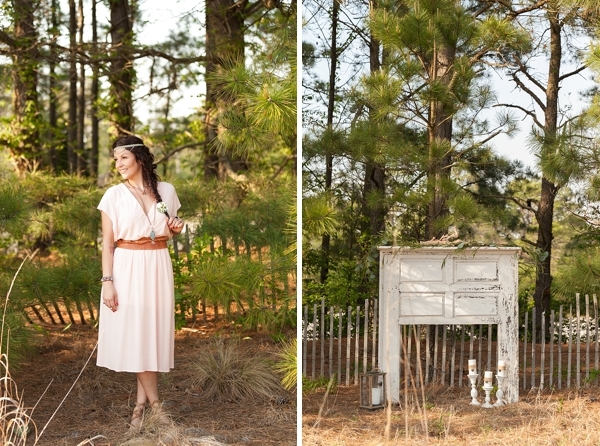 Natural beauty stylings from Mariaelissa Littles and Dhalia Edwards made the models gorgeously casual chic as they wore relaxed dresses from two Virginia Beach boutiques, Esme and Apricot Lane. 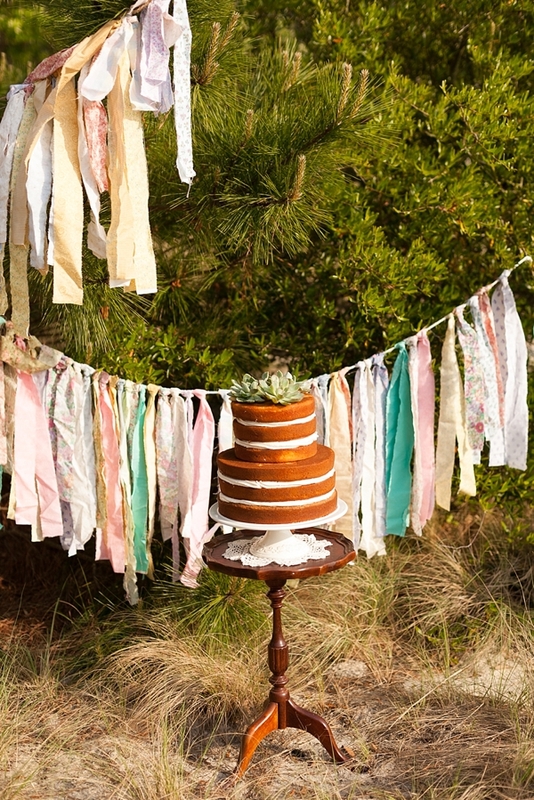 To add to the laid-back theme, the deep brown naked cake topped with succulents from Sweet Temptations and neutral-colored invitation suite by Paperdolls Design mirrored the beachy environment and created this to be the perfect summer wedding celebration! 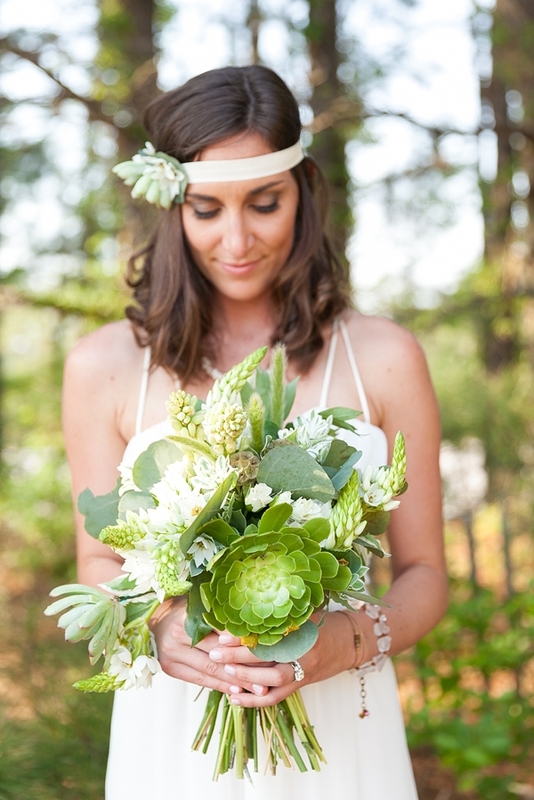 Jessica Ryan Photography, Jamie Leigh Events, Roost Flowers, and Dhalia Edwards are tried-and-true local pros in the Tidewater and Tulle Vendor Fam.